A native of Portland, Oregon, Beverly Dahlen has lived in San Francisco for many years. Her first book, Out of the Third, was published by Momo’s Press in 1974. Two chapbooks, A Letter at Easter (Effie’s Press, 1976) and The Egyptian Poems (Hipparchia Press, 1983) were followed by the publication of the first volume of A Reading in 1985 (A Reading 1—7, Momo’s Press). Since then, three more volumes of A Reading have appeared. Chax Press published A Reading 8—10 (1992); Potes and Poets Press: A Reading 11—17 (1989); Instance Press: A Reading 18—20 (2006). Chax Press also published the chapbook A-reading Spicer & Eighteen Sonnets in 2004. 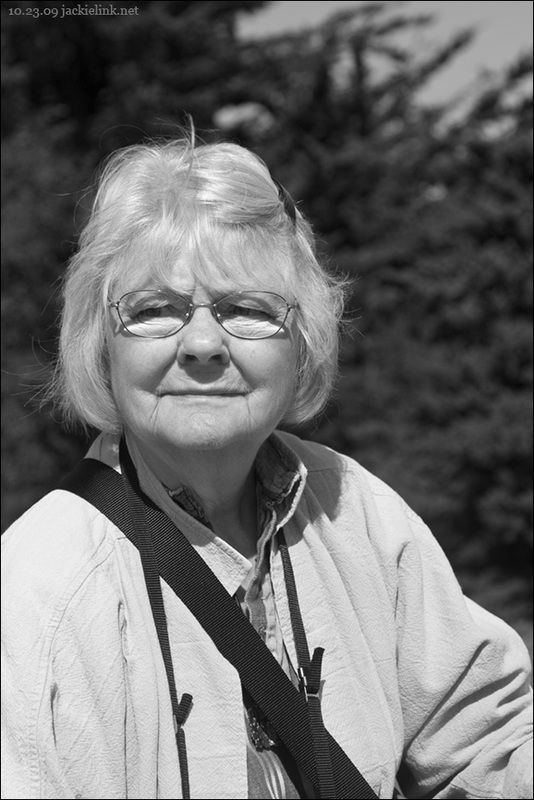 Ms. Dahlen has published work in numerous periodicals and anthologies. Her essay on beauty and her poem called “A Reading…. the Beautiful” were published in Crayon 5. My first book was called Out of the Third. It was published by Momo's Press (Stephen Vincent) in 1974. I'm not sure how "it changed my life." I remember feeling a little disappointed by the rather cool reception, but I myself was quite happy, really, to have published a book at last. Something validating about it. I felt that I was really now a "poet. I wrote my first poem when I was in the 7th grade. I was walking down a street near where I lived in Portland, Oregon, and the poem simply came to me. I don't mean anything supernatural, but I knew it was a poem, because I hadn't "made it up." It was like Creeley said somewhere, "is that a real poem, or did you just make it up?" It was a real poem in that sense. I don't do notes. The work happens as it happens. After I published Out of the Third I wrote poems, individual poems, but nothing like a book appeared. There was a chapbook in 1976 called A Letter at Easter to George Stanley (Effie's Press, Bonnie Carpenter). I probably published individual poems in magazines here and there. Much of my work is uncollected. I had been, as I described above, mostly writing short poems, not books. In the summer of 1978, exasperated by my slow process, I decided to write it all. Everything. And I began writing something called A Reading. All of my work now falls under that title. Except the work that is part of The Main Idea. I haven't written any "main idea" poems for a long time. Yes, I've always enjoyed giving readings, and that's one of the ironies of my title---I'll always have "a reading" whenever I am invited to read. Yes. The epigraph in the first volume of A Reading is from George Steiner: "Wittgenstein asked where, when, and by what rationally established criterion the process of free yet potentially linked and significant association in psychoanalysis could be said to have a stop. An exercise in 'total reading' is also potentially unending." I was intrigued by this quotation, with its allusion to "terminable and interminable" analysis. I liked the idea of open-endedness, but this kind of writing has its pitfalls. It is not easy to write without boundaries, but that's not actually so different from Olson/Duncan's ideas of "open field composition," or even Williams' notion that anything can be a subject of poetry. Mind itself is shapely, Duncan said somewhere, and sometimes one writes to see the shape of that mind. This is a very vexed question. What place do poets have in culture? I don't know. I think the poet writes poetry. I think that poetry really can address any issue. But when the issues are political, poets need to be careful not to mouth propaganda. There's some very good political poetry. I think of Blake, his prophecies, or Duncan's prophetic anti-Vietnam War poem. Poets sometimes have these powers of prophecy, but I'm not sure that's enough to move the entire culture. And that seems to have always been so---neither did the Greeks really pay attention to their prophets, nor have other nations. There is something perverse about society---it does not want to hear the truth. A little of each. It depends on the editor. When I was in high school, I was writing very dreamy poems. One of my teachers said the poems were nice, but why not write about something more tangible? So I wrote down the bus ride from school to home! It took up pages. And it was a great exercise in writing details. I think that's the best advice to give any young poet, one who thinks poems have to be moonlight and roses. I don't know about easy. I've written critical prose, but I only write about poetry I find appealing. I wouldn't write to put someone down. My most recent critical work will be in the new issue of The Capilano Review. The issue is devoted to the work of George Stanley, someone whose work I've known and loved for a long time. I don't have a "routine" so much anymore. I should try to establish that again. The main parts of A Reading were written every morning. I rarely missed a day of work in the morning. I don't look for inspiration. I just have to sit down and write. The recent poem about the birds came to me while I was in bed before going to sleep. I got up and wrote the first words on a tablet, then worked on the poem for several days after that. My mother was a wonderful cook and baker. When she baked, the fragrance of her cookies was in the air at least half a block away from home as I came from school. But I love the fragrance of flowers too, lavender and freesia and carnations. Yes, I agree with McFadden (obviously) and he's not the only one who said that. Margaret Mead said something like books don't just spring fully-formed from the brain, they come from other books. So what I am reading is one of the bases for the writing. And yes, I'd include everything else you mentioned, thinking about nature, or music, the arts in general, films. I hesitate to discuss my ideas before they are fully formed but I have something in mind involving the use of visual art as a base for writing. I've named several other writers already: Jack Spicer, Robert Duncan, Charles Olson, George Stanley, H.D, Emily Dickinson----not necessarily in that order. Adrienne Rich has been important, as has Kathleen Fraser, Frances Jaffer---at a certain period of feminist development, these women were the most important to me. I suppose I'd like to visit the ancestral lands in Europe: Sweden and Finland. I would have been a teacher. I was, in fact, a teacher before I retired. I didn't fancy working in a bank or at the post office. I thought being a retail salesperson was awful. I did it in my school vacations. I'm reading Lydia Davis' new translation of Madame Bovary. I've also been reading The Wide Road (Harryman and Hejinian) and am looking forward to Looking up Harryette Mullen. I read a lot of things simultaneously. Films: Believe it or not, my favorite film is the Brit-com series that ran for 30+ years in England: Last of the Summer Wine. I own all the DVD's that are available and watch them again and again. It's a very funny, very physical comedy that takes place in and around the town of Holmfirth in Yorkshire. Bill Owen is wonderful but then so is Peter Sallis and Brian Wilde---but I won't go on and on. It's politically incorrect, lots of sexist jokes, terrible puns, and I love it. I'm the only fan I know. Everyone else here hates it. Also, about movies: of course I like "serious" movies too. Godard (Breathless) has left an indelible impression. Antonioni, and lots of others. The Treasure of the Sierra Madre and Citizen Kane are two classics I love, as well as Battleship Potemkin which I first saw when I was in college. It's a great film, on everybody's list of the one hundred greatest films. I am superstitious about discussing current plans. I'm between projects. That's all I have to say. Thanks.